absolutely amazing but are all unfortunately seriously lacking in confidence. Therefore I decided to run a session that would hopefully start to change the students perceptions of themselves. course that I run in the hope of up-skilling and finding employment. Therefore I disguised the confidence building session in the guise of writing covering letters. Today I’m going to blog about the starter activities. all found vacancies that they wanted to apply for. I started the session by discussing how everybody finds it difficult to sell themselves. We then talked about how the job and apprenticeship markets are really fierce and how the students would really have to point out what is good about themselves and why they are they are suitable for the vacancies that they are applying for in order to stand out from the crowd and secure employment. as reliable, hardworking, punctual, trustworthy and approachable. 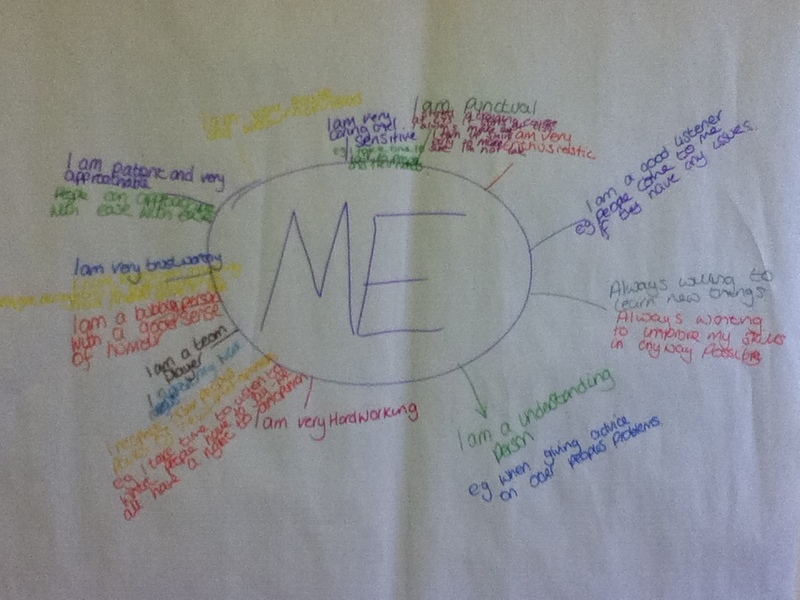 The students then created an individual mind map detailing their positive personality traits and any other personal information that made them suitable for the sector that they are applying for; including how looking after their younger siblings related to a career in childcare. themselves and how employers want to see examples to prove that what they are saying is true. The students then bullet pointed examples under the positive personality traits. write their own covering letters. 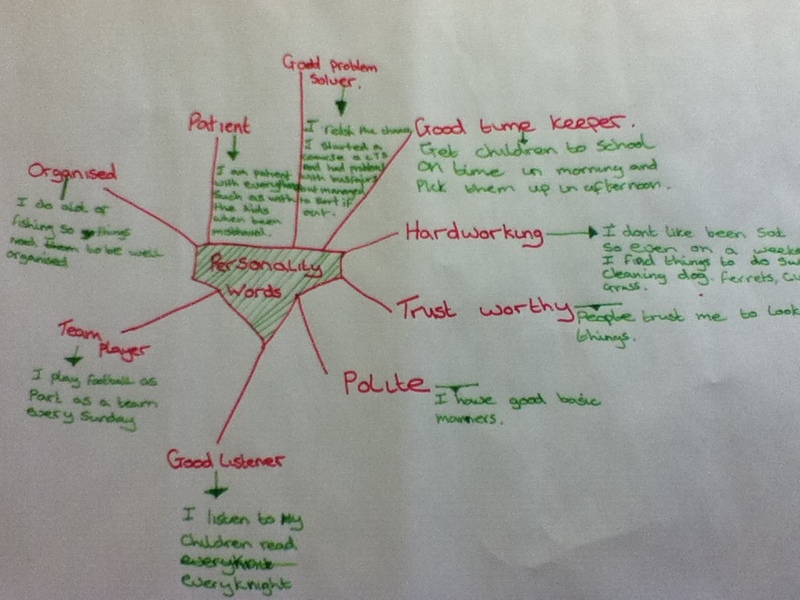 This entry was posted in Resources and tagged Employability, Literacy, Resources by Gemma H. Bookmark the permalink.